If you’re just getting started with Continuous Integration (CI), or thinking about it, this post will show the steps to building your SSIS Projects. Build errors are valuable feedback to the developer. After all, failing early is the point of CI in the first place! Check-ins from other users could cause build errors, though this issue is mitigated by building on each check-in. If you are building after multiple check-ins, building on this server ensures that all the code that is checked into source control actually builds. “release,” the SSIS team decided to do it completely differently. If you include other projects in your solution (like an nunit test project), the best thing to do is to add a “development” configuration to that project. The reason for the above recommendation is that SSIS is really funny about these configurations. 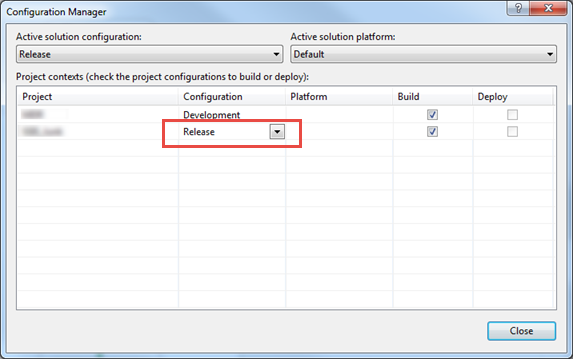 If you add a “release” one in the configuration manager to the SSIS project, it will build based on whatever state you leave the configuration manager window in, not on what the active configuration is or the build parameter on the command line (seriously, I’ve tested this)! Knowing this and not knowing the way that any user might leave that configuration window, it is better to foolproof the problem and only leave one possible configuration. In addition to this, the build process does little more than create the ispac file. If there are validation errors in the package, it will still be packaged up anyway. Some severe errors may stop the build like a reference to an invalid object. I guess that somewhat rules out the point above feedback, but it’s still a good practice to perform the build on the server for the other reasons. Additionally, I highly suggest automated testing following the automated build for improved feedback. MyProject.dtproj : error : Operation is not valid due to the current state of the object. One or more projects in the solution were not loaded correctly. Please see the Output Window for details. The operation could not be completed. The parameter is incorrect. Not sure what exactly the problem was but I could not reproduce it locally. So I wound up using devenv.exe on the build server. Unfortunately, that hides the output, but at least it builds. A couple of things to note, you can use “Rebuild” to delete the compiled project and create a fresh version of the file, but there is no “Clean” like in other VS projects. Also, if you build a project file, it will build the solution (all projects will be built). From here, you just need to package up the ispac file with your build artifacts. Depending on the build server you are using, this could just be another powershell script grabbing the file.